10 x 10 Trellis - Glen Allan Pillars Inc.
An outdoor room goes a long way in finishing your yard and creating a dedicated space for entertaining, relaxing and privacy. 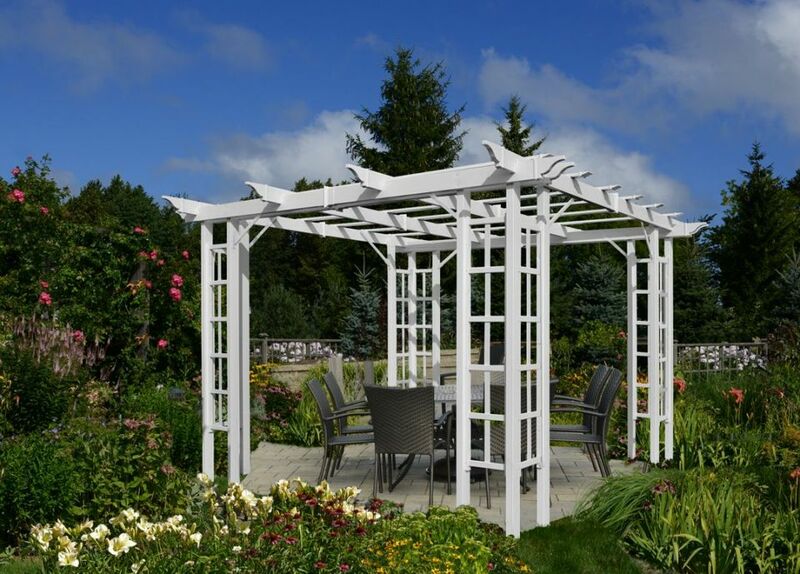 The Trellis pergola by New England Arbors is an easy solution to personalizing your yard; from the distinctive trellis style posts that easily support climbing plants and create an attractive oasis, to the easy installation with included brackets. 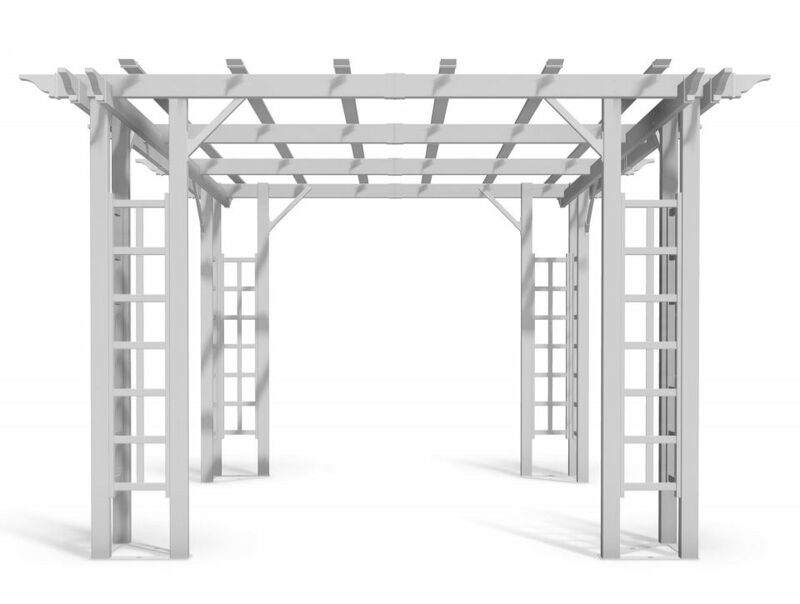 The Trellis pergola is designed to be an attractive and practical addition to any yard. 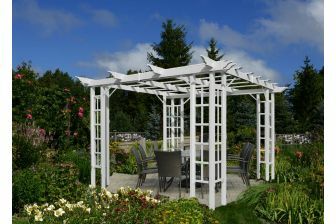 Because the Trellis is manufactured with modern techniques using premium materials, you get all the beauty and none of the maintenance. An occasional rinse with a garden hose will keep your pergola looking great for years. Even better – we’ll guarantee it for twenty years.